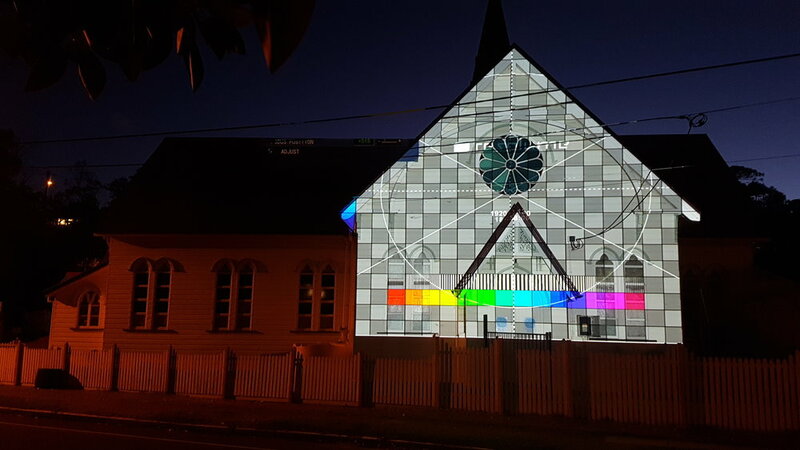 We had fun the weekend just gone with projection mapping this cute little church out at Sandgate. 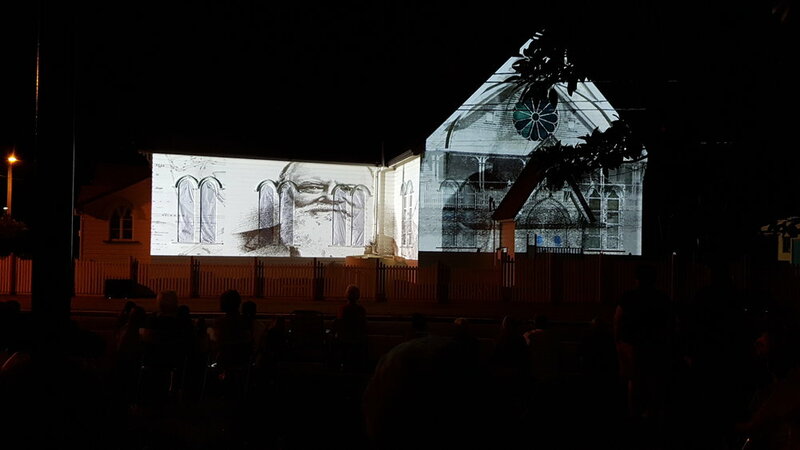 We used two projectors to cover the front walls and using Resolume Arena where Dean from Bacon Factory Films put together a collage of historical photos from the area with audio score and narration. 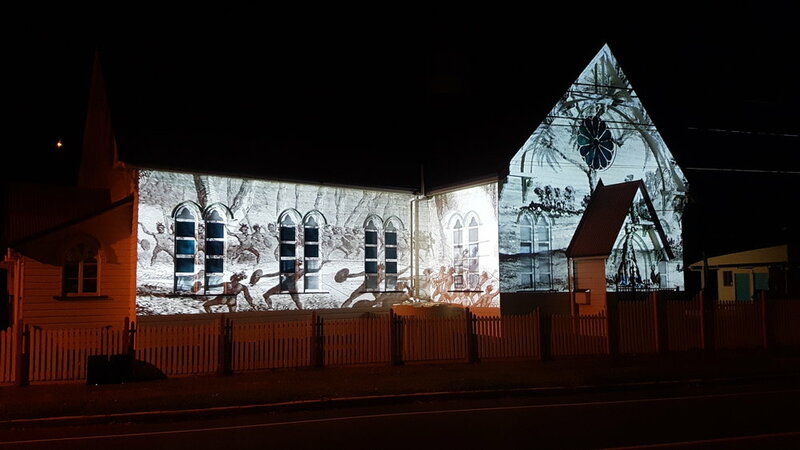 Pictures dont really do justice, but it ran for two nights and virtually the whole community in the area came to experience this with such positive feedback. Have you got a great building in your area and a story to tell? Get in touch and lets see what we can do for you. Getting ready to turn the lights on! 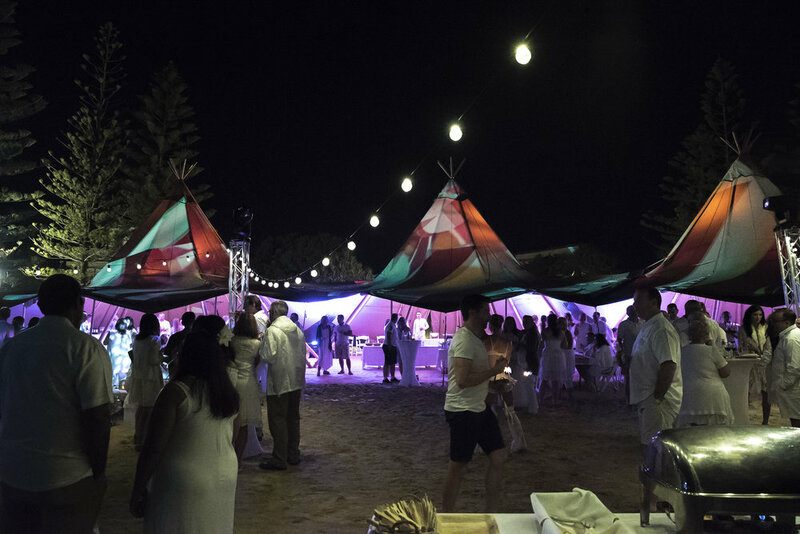 We had the pleasure once again to be a part of this great event showcasing some of Brisbane’s’ best Senior talent alongside some stunning ‘A’ list names in the industry. Check out the video highlights to experience this show. Big thanks to Adam at TLD Services for an amazing job with lighting up the auditorium. Proudly supporting a great product that now dominates our switcher inventory. Get in touch with us if you want more information on the V-60HD video switcher, or any of the Roland range. 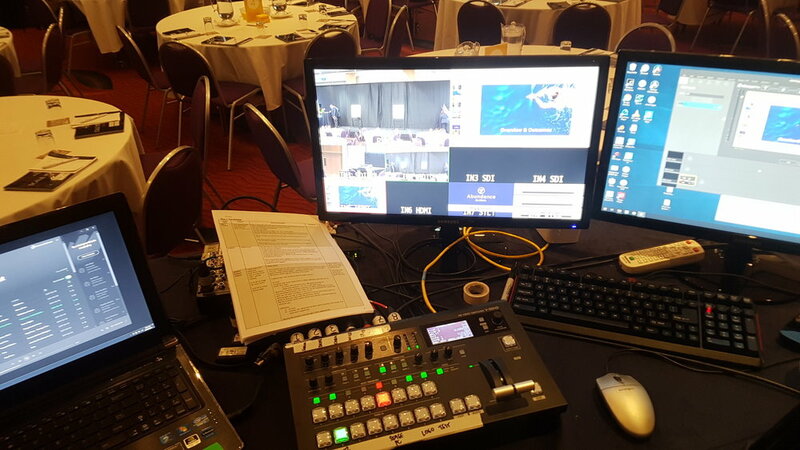 Vast was engaged to supply the delivery of the live webcast for this years federal budget insights that took place in Brisbane at The Royal International Convention Centre. 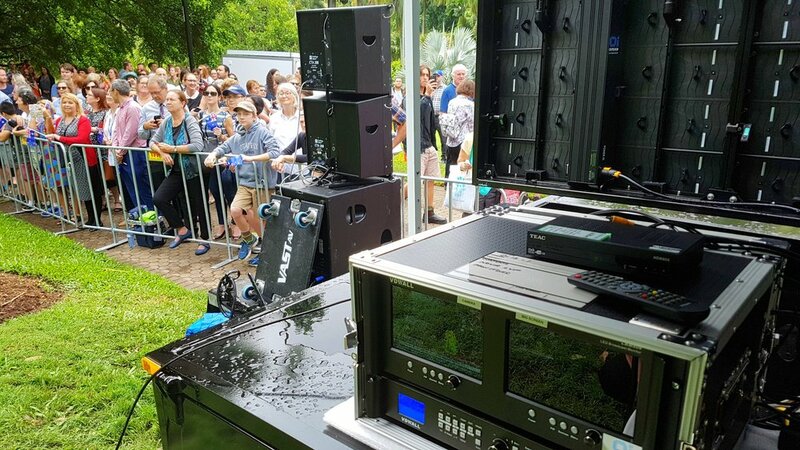 We acquired a camera mix and graphics content with audio from the local AV team on the ground at the event and pushed it to the clients' web-server for registered attendees around Australia to watch it live. This was a successful and huge event and we look forward to being a part of next years. 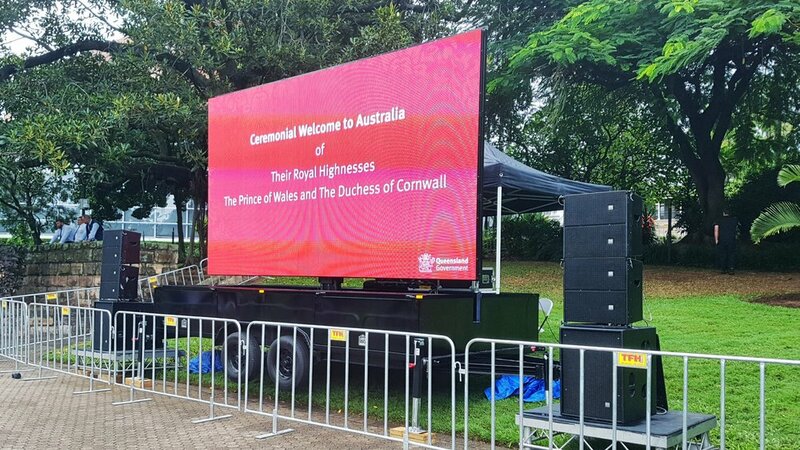 Vast AV was honoured to be involved with such a prestigious event yesterday for the Royal visit of The Prince of Wales and The Duchess of Cornwall to Brisbane for the opening of the 2018 Commonwealth Games. 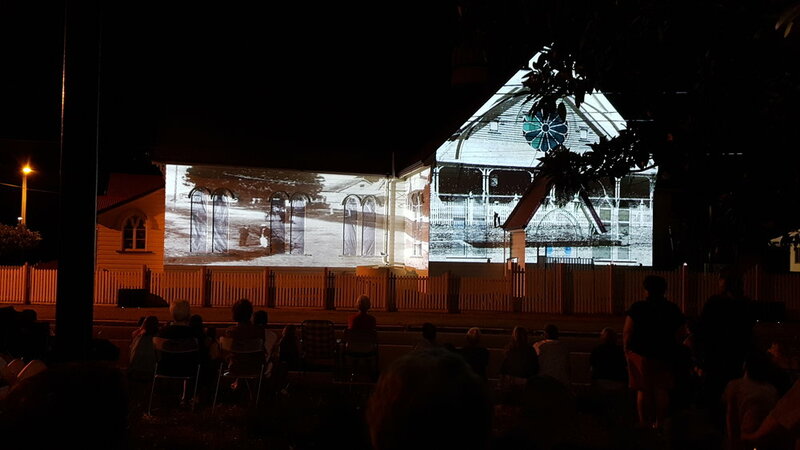 The Premiers Department engaged us to supply a full production in the Botanic Gardens which involved a large LED screen and sound system to cover the area for the public to view the live broadcast of Channel Sevens coverage as their plane landed to when they arrived at Old Government House for the 21 gun salute. 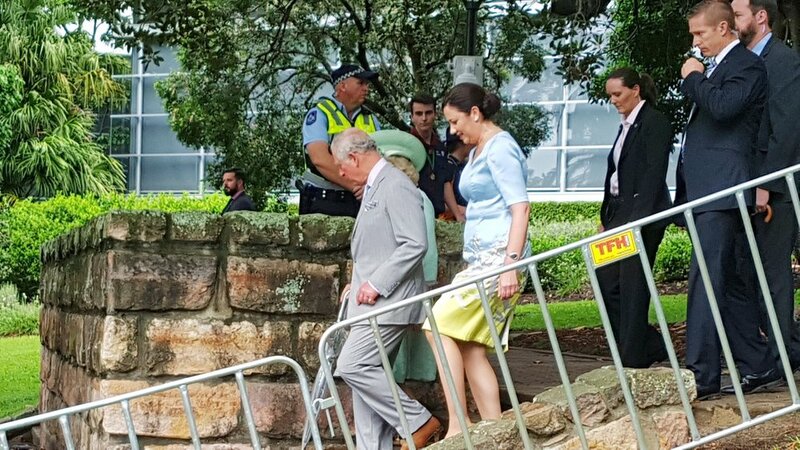 Check out some of the pictures, you can also see just how close we were to the Royals as they walked by our installation. Some would say we had the best spot in the gardens with the 7000+ people that turned up. We have just finished commissioning three high-speed video data capture systems for All Podiatry at their two stores located in Brisbane. 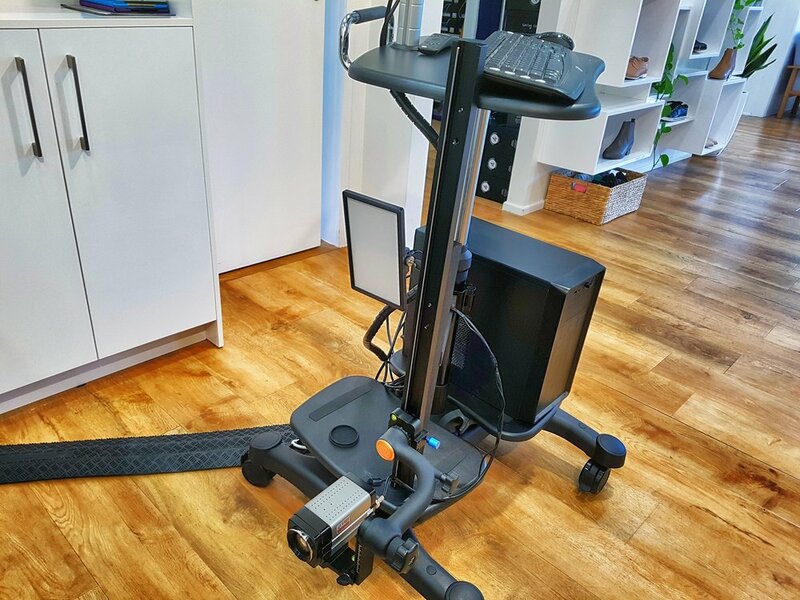 The state of the art setup included two HD digital cameras on a vertical mounted dolly with a gimbal for positioning the cameras around the treadmill to get the best shot whether at the ankles or upper thigh. 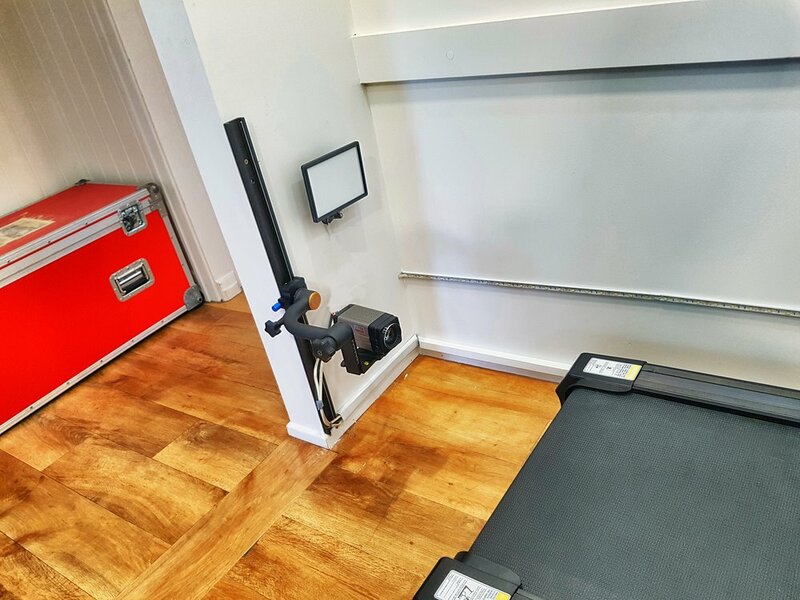 Each camera position had a dimmable LED panel and we could also adjust the colour temperature to suit the environmental shop lighting and get the best image into the cameras. Custom built PCs were required with plenty of "grunt", to deal with capturing two SDI video feeds of full high definition video at 60 fps into the system to be trans-coded into Silicon Coach Pro, which is a great piece of software designed for sporting and medical analysis to ascertain movement and joint diagnosis. We needed a high framerate so that upon analysis, it could be slowed right down to get a clear picture of what was happening. 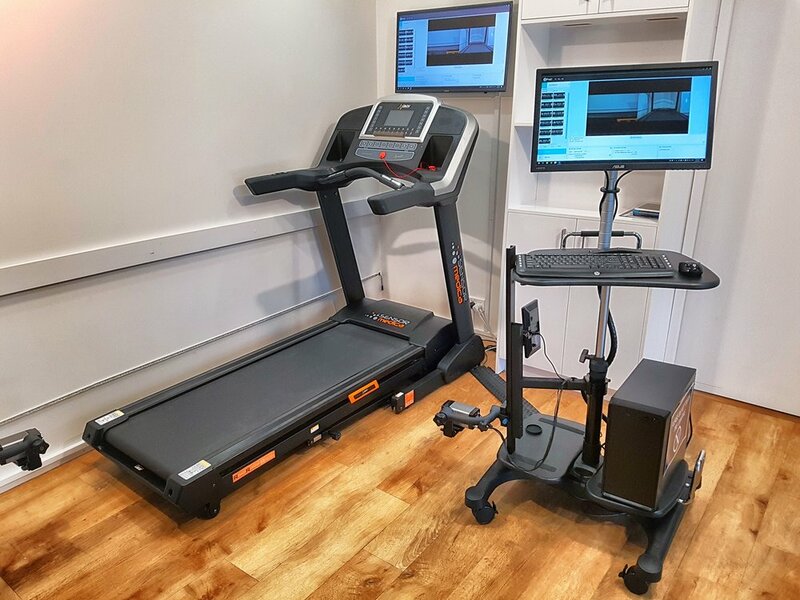 All this in a compact Stand-Up Workstation, made it easy for the staff to get access immediately and start recording to provide instant feedback from the system and recommend the best footwear to get people moving in comfort again. I highly suggest you pop in and test it out. Stores are located in Indooroopilly and Windsor. 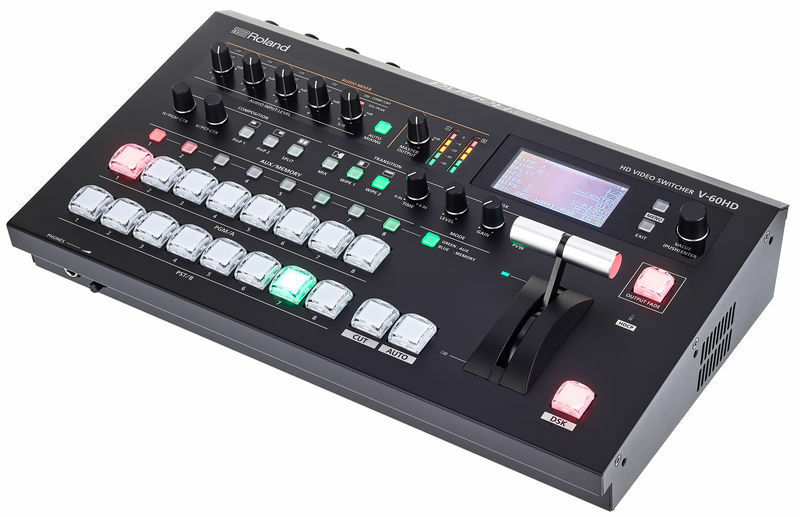 Excited to announce we have acquired the new Roland V-60HD Switcher in our inventory, and were one of the first as they landed off the boat early January. This compact switcher has all the features you would expect on a larger unit at a much higher price point. Scaling on 2 x HDMI's and 4 x HD-SDI inputs gives you most scenarios whether you are conferencing or webcasting. Multiple outputs on HDMI and HD-SDI as well as an AUX out which suprisingly comes in handy a lot! Enquire to hire or purchase this unit from us, we are Roland stockists and can get you some of the best pricing in Brisbane. 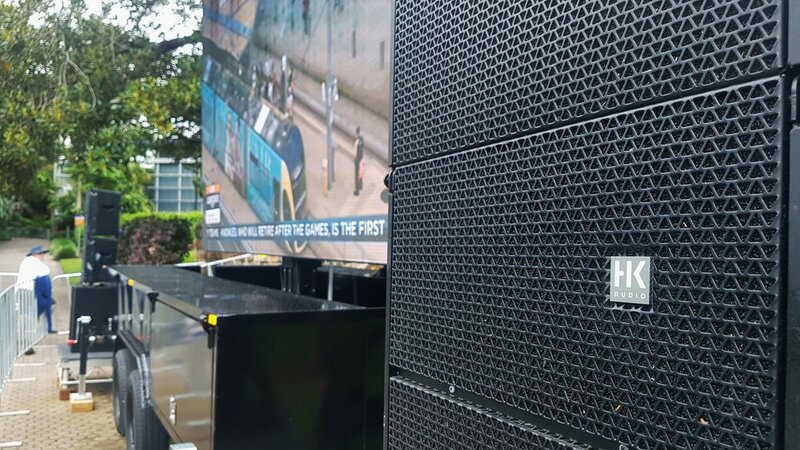 Vast was engaged to supply a large LED screen, staging and audio for around 3000 people at Queens Park in Brisbane City for the countdown to the official results of the marriage equality vote. With all the news crews buzzing around capturing the emotions and stories, there was plenty celebrating the outcome once it was revealed. It was a historical day for us, that we won't forget too quickly. We are proud to be involved in supporting this years BigSound Festival in early September. 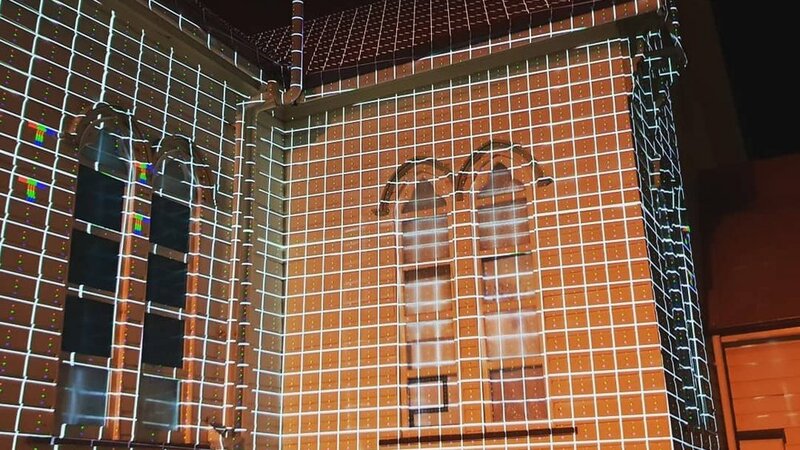 This year sees many activation sites of visual artistic showcases, where projection onto buildings and in venues will take place. Check out our mention here and also get in on the action with many artists and keynote speakers. We had the pleasure of doing full production for Darren Percival and his band last week. 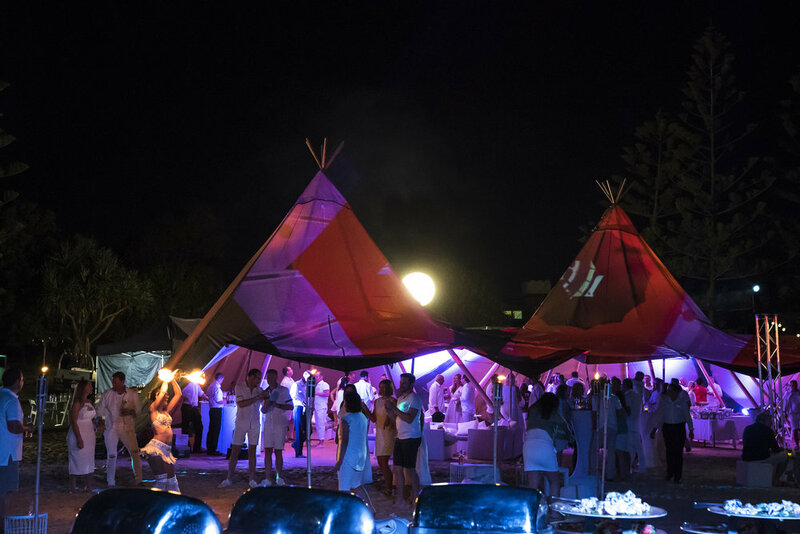 Some of the key factors were to style the event with a 'cabaret' feel in mind, with some sneaky corner cutting like the electronic keyboard in the piano shell. Everyone had a great night and Darren personally thanked us for a splendid job. Don't settle for the standard, give your events a point of difference with elegance using an illuminated stage and a lectern which is the focus of your speeches, say something different.. Sometimes it's nice to get outdoors, away from the conference rooms and embrace nature. 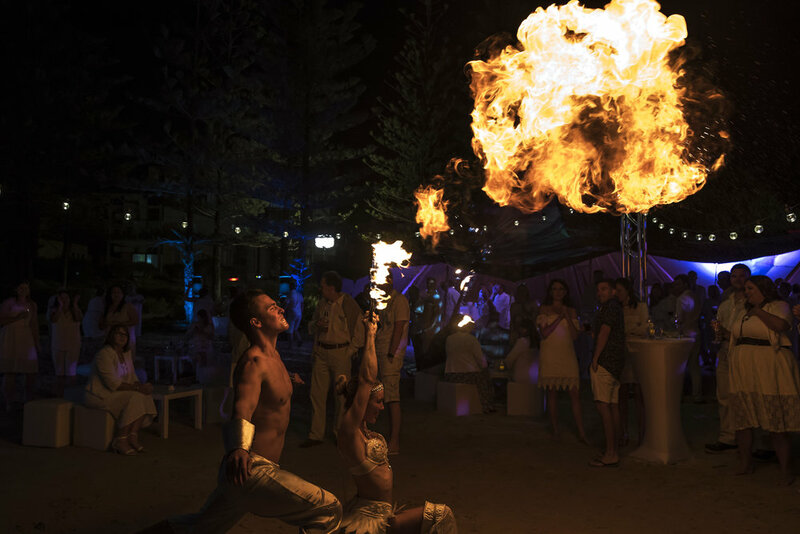 What better way than to have your event at the beach with all the stylings and theatrics. What a big day we had setting up a Kabuki reveal for a 12 metre vehicle along with lights, PA System and 10 foot screens to bookend the main attraction. This was then followed by a dinner inside a clear hoecker where we had more lights and sound for an eight piece band. Also we decided to map the back of the stage with a projector and created segments to customise the graphics and video in those areas. Take a look at the video, it will explain better. 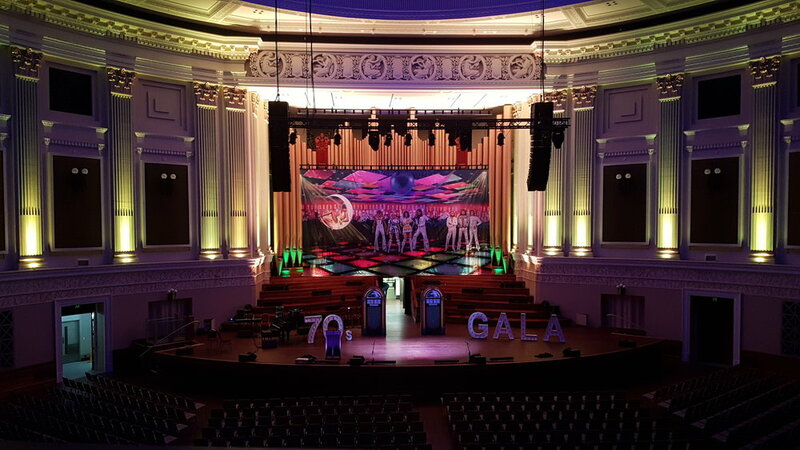 Another fun time for us in City Hall Brisbane providing production for the Lord Mayor's Senior Cabaret Gala Concert. 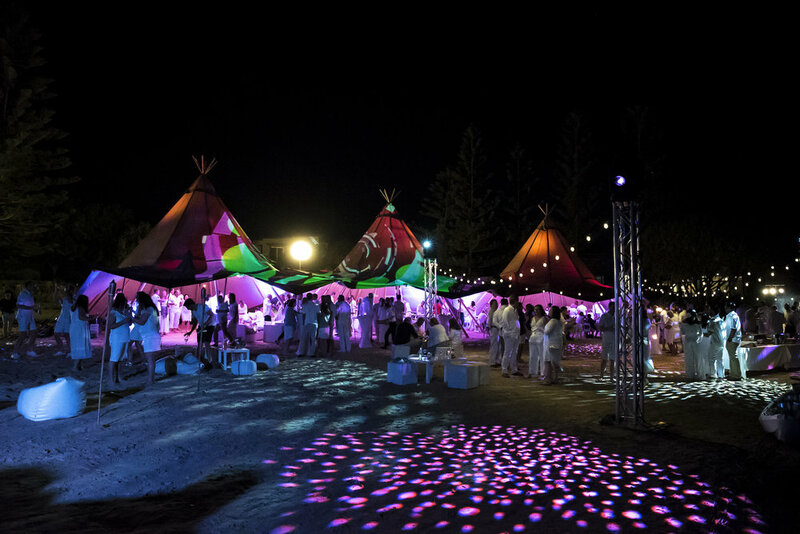 Vast is proud to announce a new acquisition of two large venue projectors into its rental fleet. Hitachi have just released the CPWU13K with all the bells and whistles one comes to demand and satisfies the projection demands of even the largest indoor venues without breaking a sweat. Each projector comes with three lens options: short, standard and ultra long throw lenses to give you more options on-site, along with a Hall Research HDbaseT extender kit if you choose to not use the onboard 3G-SDI. If you would like more information or a quote please get in touch with us, we are currently running an introductory offer until the end of this year. Here is the link to the specifications from Hitachi for those inquiring minds. 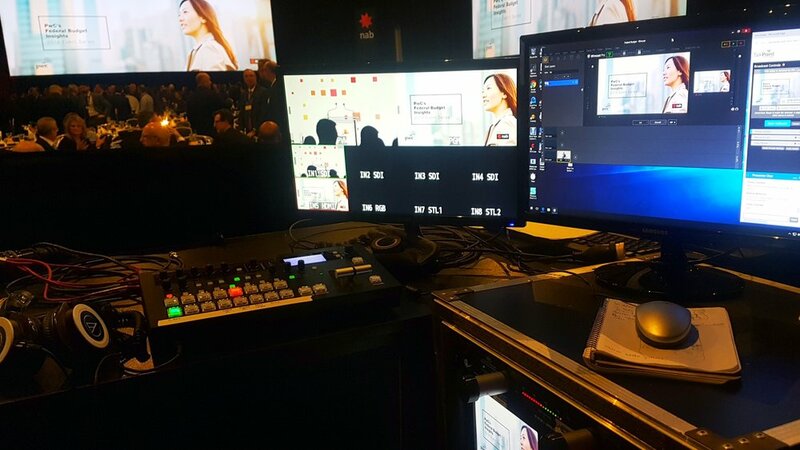 We were asked by Tafe Queensland to offer a webcast solution for the visit of Iron Chef Sakai who was giving a master class in their main auditorium. 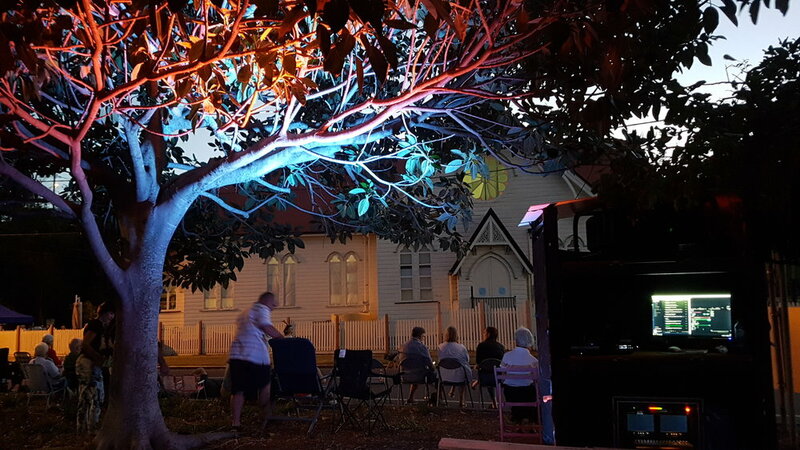 The event sold out quite quickly, therefore TAFE Qld were able to offer those who couldn't attend an alternative to watch it from their mobile device or computer as it was happening live! Was an awesome day to kick off easter with thousands coming out to witness the re-launch of the newly designed pier at Shorncliffe. Vast was running the main and solo stages as well as the Lord Mayor's media launch. The highlight was seeing crowds of people rock and roll dancing to the first band, Facin' The Crowd. Check them out if you get the opportunity. The Blues Brothers tribute was a great closer for the day also. We were approached by BMW in Brisbane to design a video and lighting show loop for their BMW i8 on display. Some key features about this are dual projector display onto custom panels in a curved array, pixel mapped lighting triggered by the video. The back end of the 3 month display had to have automation to shut down and start up each day and remote access for any maintenance or changes. We are pretty happy with the end result. Make an impressive statement with Full HD resolution and vibrant colour for presentations or a sponsors logo at your next event. This 65 inch panel is sure to stand out! 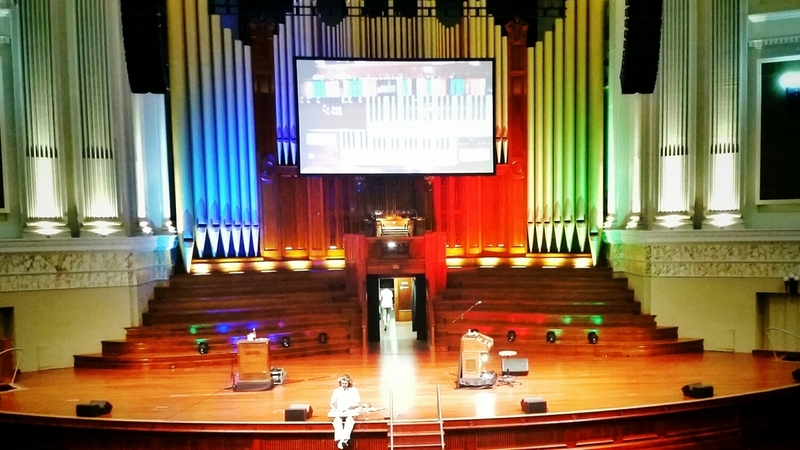 Barry and his Organ took to Brisbane City Hall stage where we did full production of his comedy cabaret show last week. It was also awesome to hear him fire up the grand old Pipe Organ where we had a camera placed to show the public just how complex it is to play.